Is It Possible To Build Your Dream Home? Your home is where you eat, sleep, relax, have fun, and even work at times. It is a special place where you and your family make memories together. It is a place that is at the core of your everyday life, and that means you have to make sure that it is everything you have ever dreamed it would be. Purchasing an already existing home is a common practice. However, it is not easy to find a property that is has all the elements that you want to have in your home. But, if you can build your home from scratch, you will have the chance to create the perfect place for you and your family. If you work with a custom home builder who can bring your vision into reality, you are provided the singular chance to make your dream custom home. You surely have your own reservations about this idea. Resources, Time, and budget are only a few of the worries that can prevent you from building your dream home. It might even leave you wondering if building one is possible! Dawol Homes can give you an answer, and that is a YES! The first thing you need to do when building your dream home is to choose the best custom home builder to work with. 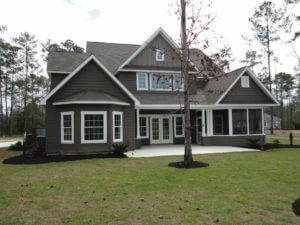 Are you looking for a North Myrtle Beach custom home builder? Dawol Homes is an industry leader that has a superb track record when it comes to building custom homes. How do you find the best plan? How can you find the perfect plan for you? Provided below are some tips to help you get started in finding the perfect plan for a custom home with a mother in law suite. Will A Tract Home Builder Add A Mother In Law Suite? 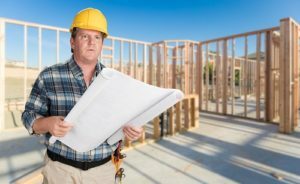 You might be wondering what a tract home builder is. These professionals build neighborhoods that are filled with houses in your area. A few of them are national firms while others are more local to simply a state or maybe two. They are also known as mainstream builders or cookie cutter builders. The issue with basic plans made by tract home builders is that many of them do not include in law suites. The majority of them commonly have two master suites and they think that they are enough. So what will you do if the tiny bedroom on the main level just won’t cut it? You can ask the tract home builder if you can add a mother in law suite. 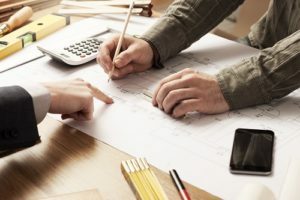 Do not be scared to ask and you will be surprised how some builders who are set on just building specific plans, do not really mind if you want to make additions to the plan. They just need the base house plan to be one of their own. When you are looking for a custom home builder to help you build your dream house, there are some important characteristics that you need to be looking for. However, apart from searching for the best traits, there are 10 red flags that you also need to watch out for. The custom home builder asks for a sizable initial deposits or down payments before they start working on your custom home. The custom home builder does not provide any written contract. In case they do, what they present is a poorly written one. The builder offers a price that is seems too good to be true. In most cases, the state price is way lower compared to the other bids you have received. The builder cannot provide a clear work history. The Myrtle Beach custom home builder cannot or will not give a complete estimate. The builder depends mostly on allowances for their final bid. They use high pressure sales strategies. There exist several unresolved claims from the Contractor’s Board. The builder cannot provide proof that he or she has insurance. The custom home builder says your house, once built, will be used as part of their marketing strategies, and that is why you will be provided with a low rate. The best time to hire a custom home builder is during the early phase of the design process so that they can assist you in monitoring and controlling the cost of the material. Discuss if the custom home builder wants to be paid up front and his preferred payment method. You should also trust your builder to obtain multiple bids from subcontractors as well as suppliers instead of bidding the project to different builders. A custom home will require you to work to a budget so that you can get the full value of it. Custom homes are unique and that means it will be a good idea to have a builder and designer work together on the project so they can both make full use of each other’s experience and knowledge. In case you have already hired an expert designer, he or she can help you search for the best custom home builder. Your designer will most likely have existing relationships with builders as well as first hand experience with their communication skills, business practices, and construction quality. Your other resources include local lenders, reputable realtors, Internet searches, as well as your local chapter of the National Association of Home Builders. One of the biggest investments many people will make in their life is buying a new house. Because of this, it is important to choose the right one the first time around. Selecting the best custom home builder for you and your project is critical to its success. Keep in mind that you will most like work with this expert for 6 to 12 months. Therefore, just like in any relationship, you need to build trust and have an honest and clear communication with your custom home builder. A great custom home builder from Dawol Homes will be your advocate. He will also be an important and collaborative member of your design team. They will work with not just with the homeowner but also the design team to assist in the establishment of a realistic budget for the project at hand. He will also monitor the scope and the cost through the construction and design process. The home builder will manage the subcontractors during the design phase so that the design team will be able to coordinate the important building systems into the home’s design. A good custom home builder will possess advanced knowledge of all the building systems and he will also make sure that the subcontractors will do their work as outlined in the plan specification. The work done must also adhere to the building codes. One of the few questions you’ll be asking first when planning your new home is if you would rather work with a custom home builder or a higher volume home builder, likewise known as production builder. Both builder types are great options and each can provide an excellent new home for you. The decision will likely rest on the number of choices you wish to have and how much design input would you like to receive during the construction process of your home. The primary difference between a custom home builder and a production home builder is quite simple. A production builder can build a community of home according to a library of floor plans, each with a restricted range of options for personalization. On the other hand, a custom builder typically creates a unique home that provides a wider array of design options that is usually built on a single lot. Here is a list of what you can expect from each type of builders. 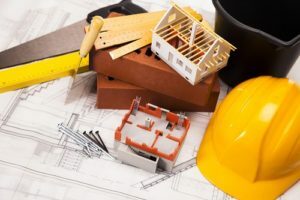 The National Association of Home Builders or NAHB said that most production-based home builders offer packages that consist of home and land. They also provide a selection of house plans you can choose from. They also allow home buyers to choose their preferred design or style from a list in different product categories. Lastly, they build homes that are priced especially for luxury, move up or first-time buyers. Copyright © 2019 Dawol Homes. All rights reserved.